2016 Gingerbread Showcase Winners on Display! Gingerbread Display Continues! 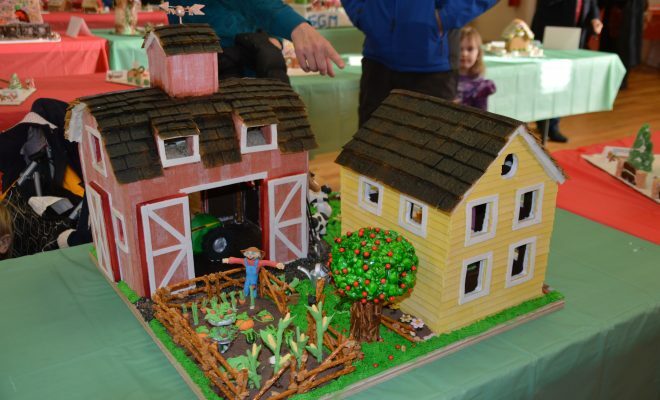 If you missed the spectacular 2016 Palisade Olde Fashion Christmas Gingerbread Contest and Showcase presented by Hilltop Senior Services and Community Hospital, December 3 rd , you still have an opportunity to see a great number of them in a beautiful display at Community Hospital, 2351 G Rd, Grand Junction, CO. The display will be there thru December 19th. Just walk in the front door of the hospital and wander down the beautifully decorated walk way to be amazed and delighted at the creativity of the participants of all ages. Additional ones can be seen at the Wine Country Inn in Palisade and in the windows of Toys for the Fun of It on Main Street in Grand Junction. “We always think it can’t get any better and each year it does” says Dixie Burmeister, Coordinator of the Gingerbread Contest and Showcase. For more information: Palisade Chamber 464-7458 or contact Dixie Burmeister at 970-261-6583.